Here is a great article from Education.com on planning a Staycation (this word will probably get added to the dictionary in 10 years). I have been guilty of not scheduling stuff like this in my calendar. It is so inexpensive to go to the beach (since we are close), a lake, a park, or a museum. I think we should all plan one of these this summer even if we are planning a big vacation. This is probably more relaxing and more fun. 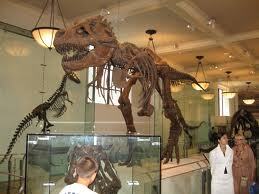 My favorite museum is either Steinhart Aquarium in San Francisco or The Field Museum in Chicago. What is your favorite? Please read the article and accept my challenge to plan this before the end of August. I hope one of you will ask me by the end of summer if I actually did this. Thanks to Education.com for posting this great article and reminding me that I need to do this before my kids are too old or they go back to school. Previous: Previous post: Boogie Down With Baby Loves Disco! Next: Next post: Great service from Virgin American on 5/14/2011.